Happy New Year! Bye 2016 and hello 2017. I brought in the New Year at home relaxing. Normally, on New Year's Day we have brunch at my sister home, but this year I decided to stay home and have brunch for one. Yep, just me! 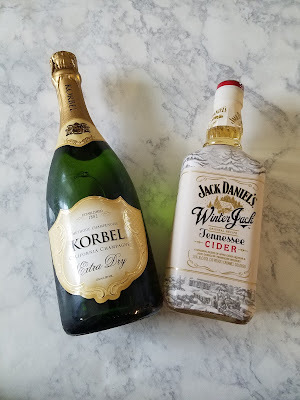 I was excited for my one person brunch, because my good friends over at Jack Daniel's sent me their Winter Jack Tennessee Cider to try, so this was a perfect time to whip up me a mimosa or two. My first meal of the New Year, as you can see was pretty simple. 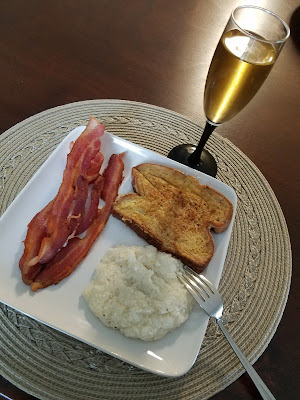 Bacon, Grits, French Toast and a glass of Winter Jack Mimosa. The Winter Jack Mimosa was delish. I'm now thinking of a few more recipes to try using this liqueur. Now that I've devoured my brunch and washed it down with my Jack Daniel's mimosa, I can now enjoy the rest this 1st Sunday of 2017. Bobbie, how do you drink Jack Daniels?!!! I could never. Last night I went to a small NYE gathering and I had Ciroc for the first time and it was so disgusting, even though it was mixed with pineapple juice. 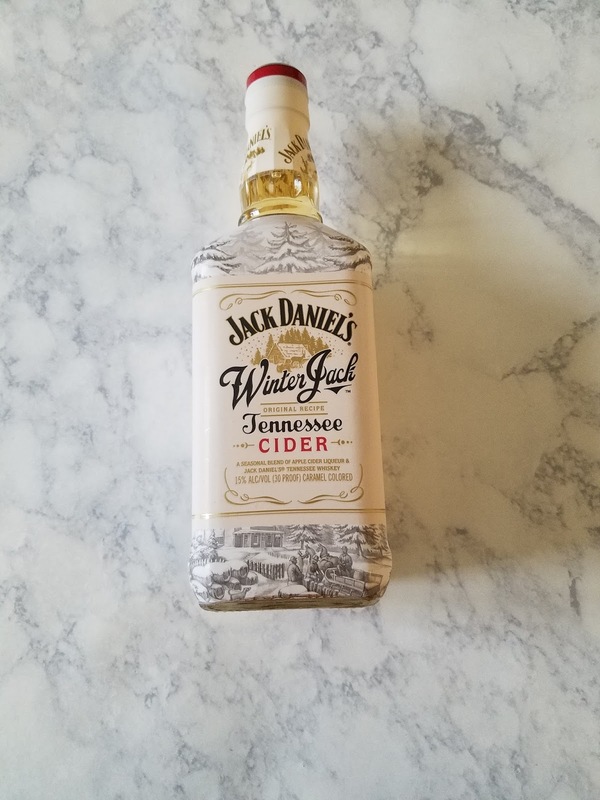 I just have to accept the fact that I am not a drinker of hard liquor. I'll stick to my moscato and piña coladas. I'm glad to see you're back to blogging and that you enjoyed your Sunday brunch!